From Image Comics, Deadly Class co-creator Wes Craig will launch The Gravedigger’s Union, all-new horror series with artist Toby Cypress (Omega Men),—chock-full of steroid zombies, monster gods, swamp vampires, ghost storms, and space monkeys—set for this November. 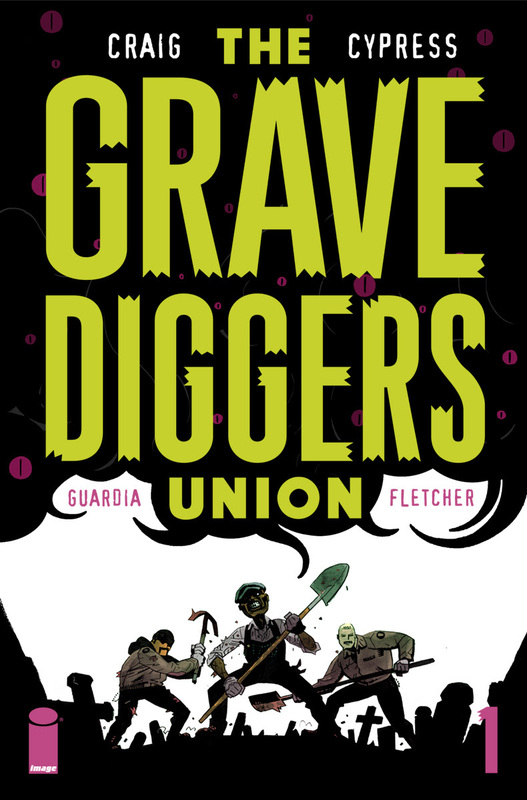 The Gravediggers Union is the story of Cole, Ortiz, and Haley, three members of a brotherhood who bury the dead in the day and make sure they stay buried at night. The supernatural world has gone haywire, and it’s all tied to a powerful cult called The Black Temple. They want to unleash ancient dark gods and bring about the end of mankind. At the center of their plan is Morgan, the prophet of the coming apocalypse and Cole’s estranged daughter. Can Cole save his daughter? Can the Gravediggers save mankind? And do we even deserve to be saved? The Gravedigger’s Union #1 will hit stores on Wednesday, November 1st.